Association Integration and Development (SIR) was registered on 21st June 2001 in Kielce, Poland. Association’s activity is concentrated on development of the local societies, provision of support to the initiatives of local societies, culture and promotion of national heritage, as well as sports, recreation, environmental protection, health promotion, social services, improvement of rehabilitation of the disabled, and on development of the education, science and technology sectors. Our main goals are: actions towards Civil Society Development, increasing opportunities for social dialogue, and platforms for communication for the local society with national and international actors, awareness raising and promotion of integration and cooperation with the European Union, enhancing establishment of partnerships and cooperation between EU countries and new Member States and Eastern Europe, supporting all initiatives aimed at local development and improvement of social and economic sectors, development of local entrepreneurship and employment, including mitigating unemployment, support to people out-of-employment, creation of new job opportunities, enhancing cooperation between employers and entrepreneurs, initiation, promotion, and implementation of projects concentrated on supporting the development of entrepreneurship, working in favour of creation of a system for financial support for Small and Medium Enterprises, sustainable development of the rural areas, including rural economy and national heritage protection, supporting the development of the rural areas in line with the EU regulations, actions towards environmental protection, social assistance and rehabilitation of the disabled, marginalised or vulnerable people, endangered with social exclusion, scientific activities and integration of people who share objectives related to the association mission, creation of the platform for support to all initiatives aimed at exchange of experience and enhancement of cooperation with relevant actors, supporting the dialogue between citizens and the institutions of the European Union. Since 2001 Association has implemented various projects financed within the European Union Funds, Operational Programme Human Capital. SIR is actively applied within various – national and international projects. 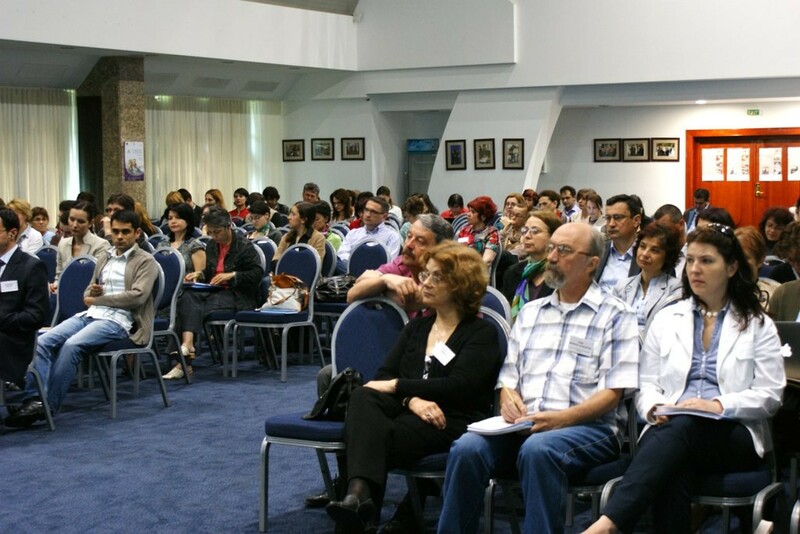 What is more, the association also conducts educational activities to promote the process of integration with the European Union and to increase the cooperation with countries in Central and Eastern Europe. Through its activities, SIR is providing support to local initiatives through the exchange of experiences and animating cooperation between Civil Society Actors. Another sector of Association’s activity is to initiate projects in the area of the labour market in order to support jobseekers by trainings, internships and subsidies to start their own business. 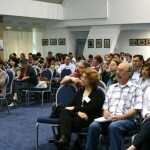 On 14 March was held the kick pff conference starting the project “Combating unemployment through partnership of local actors“. On 6 March was held the final international conference closing the project “Robotics and logic games as the key for youth the entrrepreneurship and success in the labour market“. 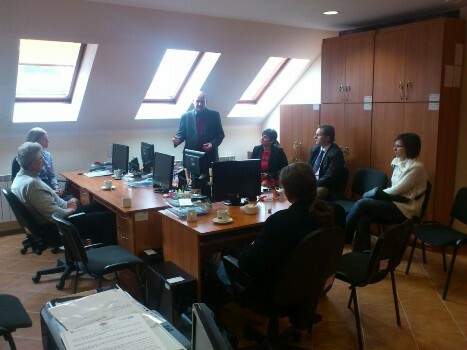 In December SIR started “Opportunities creator” project supporting students and teachers form schools in opatów. In July SIR started the “Common centre, family and development – support programme for the families from Zagnańsk community” which aim is to establish two community centres in Umer and Samsonów. 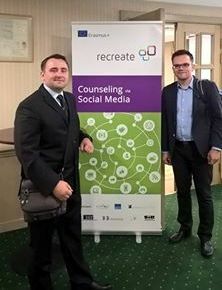 On 7-8 of July, 2016 Mr Sebastian Gralec (President of the Board) and Mr Karol Rudny (Treasurer) attended the project final conference and the partners meeting under the project “RECREATE: Counselling via Social Media“. 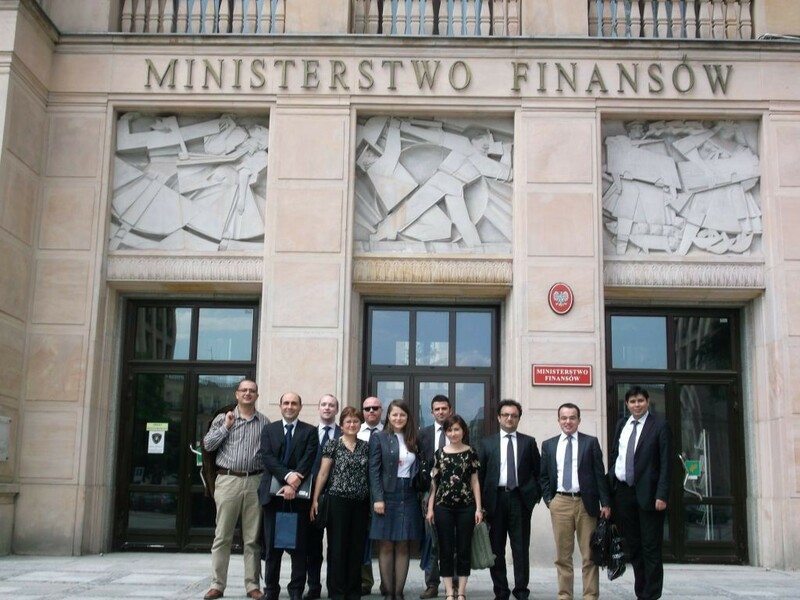 In September the Accreditation Commitettee recommened the consortium Kielecki Inkubator Ekonomii Społecznej (SIR ia a Leader) to receive the accreditation of Social Economy Support Center (OWES). 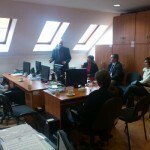 In August SIR office was located at Warszawska 27/1 in Kielce. 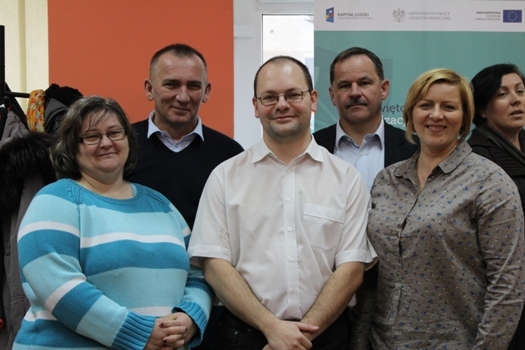 Sebastian Gralec (President of the Board) and Monika Balicka (Project Specialist) were selected representatives of the NGO’s in the Monitoring Committee RPO WŚ 2014-2020. Świętokrzyskie Non-governmental Educational Actors Federation „SZANSA” was officially established in Kielce on March, 20. Świętokrzyskie Non-governmental Actors Federation “Horyzont” was officially established in Kielce on February, 27. In September SIR started the Świętokrzyski Fund for New Initiatives project realization which main aim is to provide newly established NGOs (lasting no longer than 18 months) and non-formal groups with grants. In September SIR started the Świętokrzyskie’s Centres for the NGO’s project to improve the development of the Third Sector in the Swietokrzyskie Voivodship by direct support- establishment of new Third Sector Organisations. In September SIR started cooperation within the international project “Recreate: Counselling via Social Media” which aim is to create and popularize a tool aiding the work of career counsellors and career advisers through usage of widely available social media. SIR served as an Erasmus + Counsulting Point according to the agreement with FRSE. 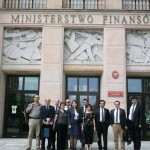 In August SIR started Świętokrzyskie’s Networking Centres for the Non-Governmental Sector Running Learning Institutions. In July SIR started “Virtual experience – real change” project realization supporting youth workers and teachers of business education among youth. In May SIR started “Seniors in Action” project realization encouraging and inspiring Kielce residants at the age 60+ to develop their interests and passions. In October SIR started “Potential – profession – employment” project realization dedicated to students of the second year at H. Chrzanowska Medical Sciences College, residents of Swietokrzyskie Voivodeship. 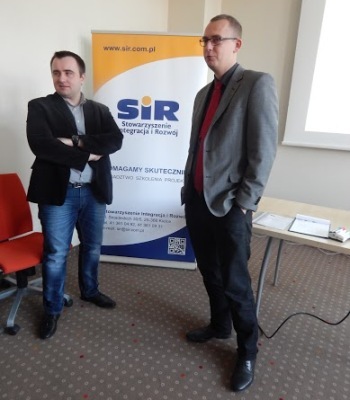 In August SIR started “I am professional – I have a job” supporting the youth of secondary school in Starachowice development with including innovative models of solutions to facilitate entry into the labour market young peoples. In August SIR started “Social cooperatives” project realization to reduce the social exclusion and improve and develop the social economy sector by direct support- establishment of 3 new social cooperatives. SIR organized a study visit for representatives of the Turkish Government in Varsaw within Technical Assistance for Capacity Improvement in the Economic and Social Cohesion (ESC) Policy (Phase II)”. 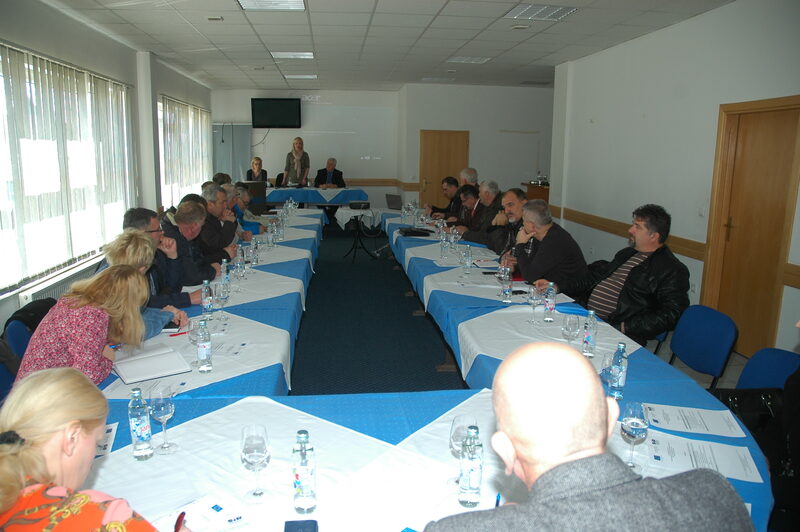 SIR reprezentatives participated in European Forum of Welfare in Poiana Braşov (Romania). SIR receives the Certificate of Employment Agency extending the scope of association activities: work agency, personal and occupational consulting. SIR started “Yesterday exclusion, employment tomorrow” project realization supporting teachers from 4 lower secondary schools for Students with Special Needs and 4 Youth Educational Centres from Swietokrzyskie Voivodship. 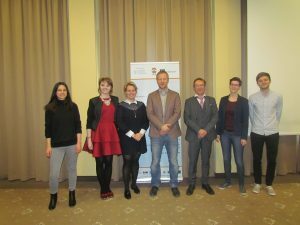 In November SIR started “IT trainings a chance for career” project supporting the residents of the Świętokrzyskie region with only secondary education in entering the labour market. In November SIR started “New profession – a chance for an employmen” project realization upgrading skills of farmers and their family members who live in rural areas, urban-rural and cities to 25 thousand residents. In July SIR established Social Economy Incubator to improve the activity of the Social Economy Sector by provision of technical and administrative support. In June SIR started “Youth Entrepreneurial Incubator” project realization providing students of the vocational secondary schools from the Świętokrzyskie Voivodeship an Masovian Voivodeship (Radom subregion) with the theoretical and practical knowledge about running a business. In May SIR played host to the reprezentatives of labour market within the “Activation of labour market in Bosnia and Herzegovina”. During the meeting all the participants discussed about the entrepreneurship and exchanging good practices. SIR took part in V Job Center Employment – Career – Development. SIR together with “Grono Targowe Kielce” started the investment web portal (www.invest.gronotargowe.pl) – a platform of exchanging communication between private sector and local government. SIR in November started “Jedrzejowski business” project realization to support the Jędrzejów residents in registring and running their own business. SIR in September started “Innovative business” project realization supporting student and academic society in registring their own business. SIR took part in Regional Knowledge Fairs Science for Business. During the event SIR presened all past and ongoing projects. SIR received Business Institutions Club Card. 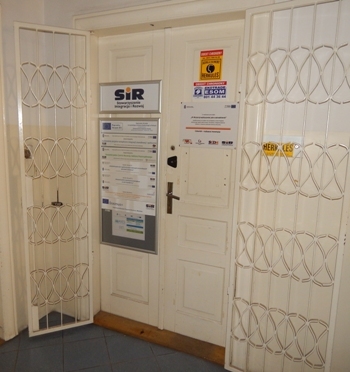 In April SIR started “Work for women” project realization increasing the professional potential and to improve the social position of long-term unemployed women endangered with social exclusion. SIR was entitled to grant to a project realization which aim was to create the Training Centre in Croatia. SIR signed an agreement with Grono Targowe “Kielce” to design and run the Economic Portal of Świętkorzyskie Region. In August SIR started the “Work pays off” project realization improving the professional potential of the unemployed people endangered with social exclusion by vocational trainings, counseling and advisory sessions. SIR hosted professor Hans Goldbrunner – a specialist of social economy who cooperated with non-governmental organizations in whole Europe. In April SIR started “Agrotourism – a chance to devop Zagnańsk Commune” project improving the situation of unemployed rural residents from Zagnansk Commune. In January SIR started “My own business” project (three editions) realization supporting the inhabitants of Świętokrzyskie region in registering and running their own business. 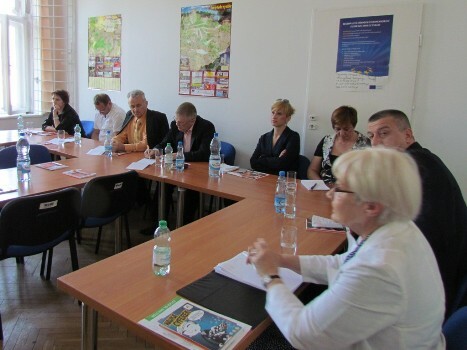 In November SIR established Regional EFS Centre in Kielce. In August SIR office was located at Śniadeckich 30/5, 25-366 Kielce. In January SIR became a founder and a member of “Grono Targowe Kielce”. The main aim of the new institution was to cooperate and strenghen competetivness between actors providing fair service. In June SIR started “Święto parlamentaryzmu Polskiego” project. In August SIR started pilot programme LEADER + “Chęciny Partnership” realization. The main aim of the project was to support and activate the residents of Chęciny community. In the end they established the local association – LGD Chęciny Partnership. In September SIR started “The Youth Self-employment as an impetus to the Świetokrzyskie region development” project which main aim was to prepare the youth to run their own busienesses. SIR established cooperation with Fundacją Fundusz Współpracy (Cooperation Fundation Fund) what made possibe to establish Forum Aktywizacji Obszarów Wiejskich (Activisation of Rural Areas Forum). SIR started “Trainings for managers of producers group” project providing the rural areas inhabitants with the managing skills. SIR started “Rural Communities Representatives” project realizatoion preaparing the target group to represent their interrest in cooperation with the local and national authorities. SIR started “Small enterprise – sales specialist with computer skills” project realization to support the target group and fight with the race and economic discrimination. SIR started “My start in enterprising” project realization to retrain therural youth to run non-agricular activity. 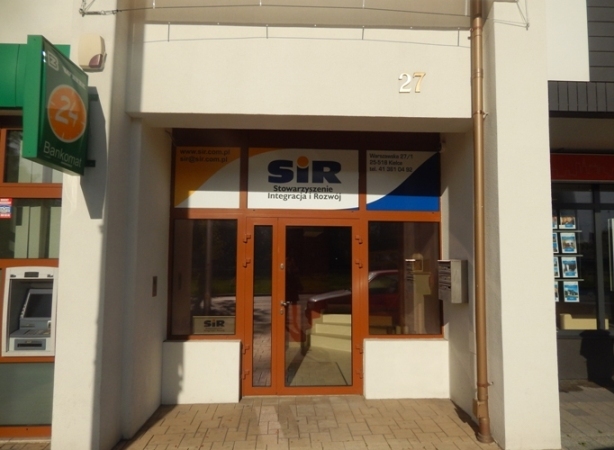 SIR was officially established in Kielce on June, 21.